Conventional treatments are no longer the only available option for up-to-date patients as alternative medicine is getting more and more popular. One of the brightest representatives of alternative medicine is lithotherapy – the use of stones for curative purpose. To say the truth, that’s not a revolutionary new form of medicine especially considering the fact that stones were firstly utilized for this purpose thousands of years ago. The unique healing properties of minerals and crystals were widely used in ancient India, China, Egypt and Tibet. Exactly these countries gave the world lithotherapy. Though the method isn’t new to put it mild, lithotherapy still remains one of the most efficient treatment method in up-to-date alternative medicine. There’s no wonder that stone therapy is used worldwide. Obviously, scientists haven’t proved curative properties of minerals and stones for the human body yet. Nevertheless, the lack of evidence doesn’t mean that stone therapy isn’t working. Precious gems affect our bodies because they contain minerals also present in the human organism. At least it has been already proven that certain minerals and trace elements are required for good health. 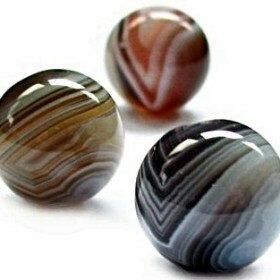 – First, stones feature color effects. Crystals of different colors emit a variety of color oscillating waves. The energy of color greatly affects our mental state and physiological functions. – Crystals generate diffusion when contacting with the skin. Minerals of the gem penetrate the organism through the pores and affect the enzymatic reaction. – Finally, crystals as any substance capable of conducting electromagnetic waves create frequency vibrations which can affect the human body. Tibetan medicine traditionally uses stones as a basis for drugs, including potions, pills and balms. So, there’s no wonder that Tibetan healers prefer brittle and soft minerals such as pearls, turquoise, coral, malachite and lazurite. Apart from that, Tibetan medicine makes use of products made of natural crystals, including a healing pyramid, massagers and a rosary. You need to have corresponding expertise to prepare drugs from gemstones, pounded into power. 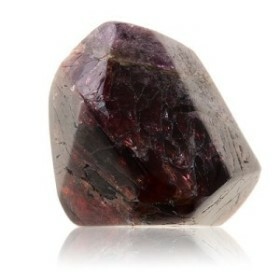 However, there’s one easy trick enabling you to benefit from healing properties of gems without professional knowledge. Just apply the newly chosen stone to your sore spot. Another popular usage of gemstones in Tibetan medicine is to leave a crystal in the water overnight and use this as a curative tincture. Drinking water: Just drink this stuff and be healthy! Mouthwash: As you might have guessed that’s prescribed for dental and throat treatment. Washing: Mineral elixirs positively affect the skin and hair. They also accelerate the process of regeneration. Spraying: It’s good against burns, wounds, itching and skin diseases. Compresses: They relive pain and spasm in muscles, heal wounds and reduce inflammation. Baths: Add some elixir to the water, no matter whether you’re lying in the bath or swimming pool. First, it’s preparation of stone powder. Then it’s burnt and taken orally. Stones with relatively low energy are used for this purpose. Stones with more powerful energetic properties are used for preparing curative pastes. These pastes are applied externally, though they’re also capable of influencing internal organs. The most energetically powerful gems are drugs themselves. So if you want to benefit from the gem’s healing properties, just wear it. Indian healers point out that only nine gems have curative properties for sure and that corresponds to the number of planets in the solar system. Each of those nine gems has its own patron-planet. These are coral, diamond, blue and yellow sapphire, pearls, ruby, emerald, zircon and chrysoberyl. Indian medicine pays much attention to the energy of the human body and stones are definitely good at harmonizing it. Once you place a particular gem on a certain chakra, you’ll influence the flow of energy in your body. Stones can open chakras and charge them. In China it’s believed that all human ailments are provoked by the imbalance of feminine and machismo (Yin and Yang) and this weakens Qi – the vital energy of the human body. 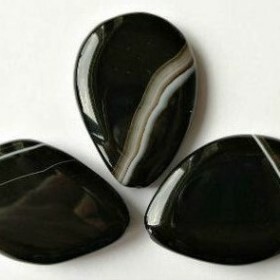 Therefore, the major principle of stone therapy in China is to absorb the negative energy (gems of Yin group) or activate the patient’s energy channels (gems of Yang group). Chinese healers are used to stimulating biologically active zones of the human body. Healers massage the patient’s body with certain stones or simply place them on specific areas of the body. Jade is the most popular gemstone in Chinese stone therapy. The given stone is good at treating disorders of the genitourinary system. It also treats all kinds of inflammation and kidneys.